Outfit of the Day: Woven shirt, Timberland. Skinny denim, Uniqlo. ‘Alix’ motorcycle boot, Cole Haan. 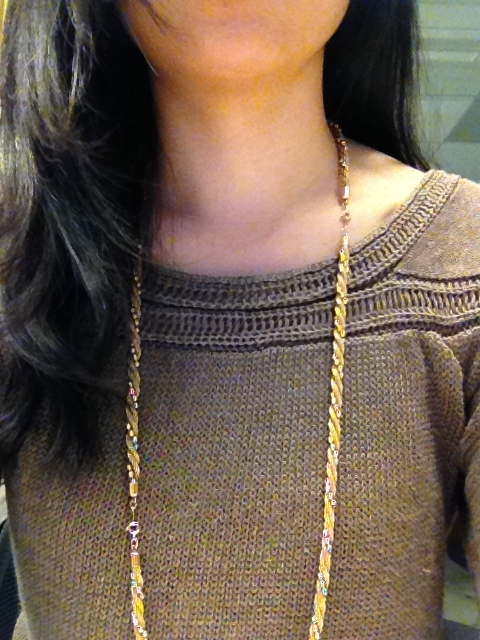 Vintage gold woven necklace. 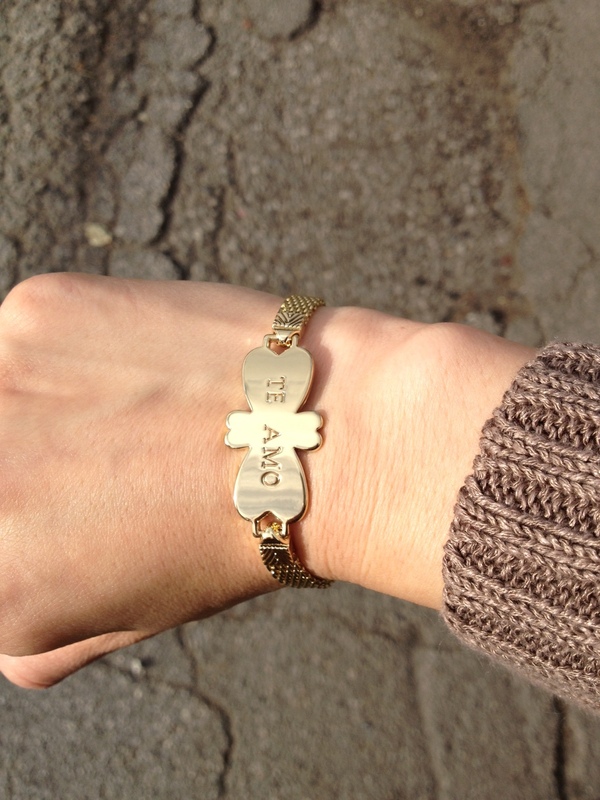 Accessories: Te Amo gold bracelet, JewelMint. 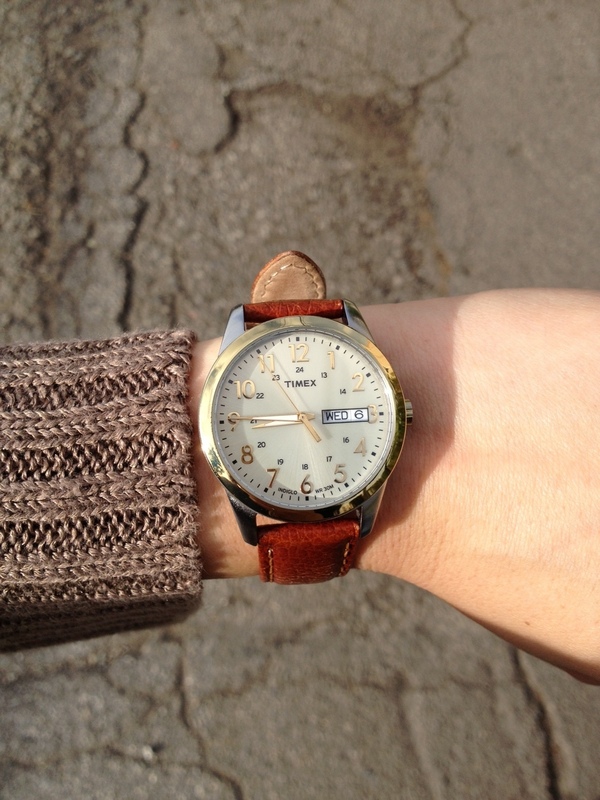 Vintage leather band watch, Timex. 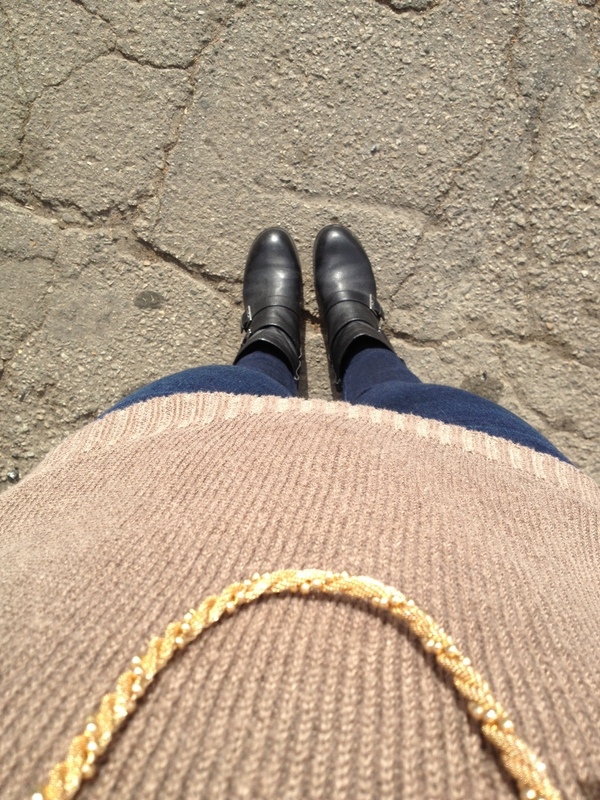 This brown woven Timberland sweater was buried deep in my closet and hasn’t seen the light of day for quite some time. I love the softness and the neckline/sleeve detail. It’s perfect for Spring! This is a super cute outfit and looks great on you! It is a perfect Spring transition piece. I’m loving these outfit posts and can’t wait to see more!